Former Spokane Riverkeeper Rick Eichstaedt, now executive director of the Center for Justice, has decided to vote for the "Safer Spokane" ballot initiative Proposition 2 targeting oil and coal trains, though he's not sure it's legal. So I've been quoted as critical of Proposition [2.] I do have my doubts as to its legality, but I am voting for it. We need to do something to address the danger of oil trains through our community — even if Proposition 1 is struck down by the Courts, it sends a strong message that the voters of Spokane care about the issue and want action. So vote "yes" for Proposition 2! In particular, Eichstaedt argues that the notion that the city will have to pay to defend the legality of the initiative if it passes is false. He cites a case where the city of Sequim not only refused to defend an initiative that passed in 1998, it sued the person who brought the initiative forward. The Center for Justice has often been front and center when it comes to fighting to protect the environment. Not only has the organization's Spokane Riverkeeper frequently advocated for the health of the river, but the center was part of the coalition that brought a lawsuit against BNSF Railway for violating the Clean Water Act by failing to prevent coal chunks from spilling from uncovered coal trains into Washington state rivers. So you might expect that the center would be championing the "Safer Spokane" November ballot initiative that aims to prevent oil-train catastrophe by fining owners of certain oil and coal train cars that pass through Spokane. "We’re not taking a position," Center for Justice Executive Director Rick Eichstaedt says. "We actively support efforts [to solve] problems with coal and oil trains. [But] our position would be we don’t know, at the end of the day, if this is going to be the right solution." 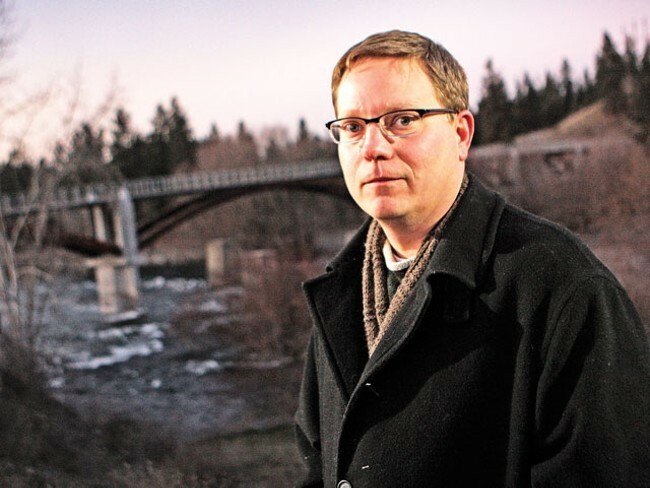 Ultimately, Eichstaedt, the former Spokane Riverkeeper, isn't convinced that there's a clear path forward that would allow the initiative to survive an inevitable court challenge. Federal law, through the Federal Railroad Safety Act of 1970 and the Interstate Commerce Commission Termination Act, reserves nearly all the authority of regulating train traffic for the federal government. Courts have repeatedly held that ICCTA overrides all "state laws that may reasonably be said to have the effect of managing or governing rail transportation, while permitting the continued application of laws having a more remote or incidental effect on rail transportation." With a few very narrow exceptions, that federal authority overrides any attempt to establish local rules. "What I can say, is that the doctrine of preemption of local regulation is very exhaustive," Eichstaedt says. "They’ve got a tough road ahead to make this law stick. Things like speed limits have been struck down. Limits on idling trains to avoid air quality impacts have been struck down." It's why the city's hearing examiner argued that the initiative would be "precluded by federal law" and why the city council's own policy advisor argued that the original version of the ordinance — which fined railroads directly, instead of rail car owners— was "highly likely to be found to be preempted by federal law." "If you look at what is the range of things they can actually do locally, it's almost nonexistent," Eichstaedt says. "The examples of where it has occurred successfully is few and far between." In the Clean Water Act case, Eichstaedt points out, the Center was pitting one federal regulation against another. And even that, he says, wasn't an easy road. The coalition of environmental groups ultimately chose to settle the case. Still, Eichstaedt acknowledges that initiative author Breean Beggs, a city councilman and the Center for Justice's former "Chief Catalyst," has examined the issue exhaustively, and says he's found a potential legal justification. Eichstaedt said that he respects Beggs' insight on this issue. Federal law allows states and municipalities to introduce additional rail safety regulations to address "essentially local" safety hazards, as long as they're not already covered by federal law or overly burdensome to interstate commerce. Beggs argues that the safety hazard in Spokane is unique — the oil trains are passing through downtown on elevated tracks, above an aquifer that's the sole source of Spokane's drinking water. "If the train derails, it falls 30 feet onto the pavement. It's more likely to blow up," Beggs says. "In Mosier [Oregon] it burst, even tipping over. If it's elevated, all that force is dangerous. Way more likely to explode." He argues that the cost of the proposed regulation, only 4 cents per gallon of oil, isn't overly burdensome. Beggs is not exactly a greenhorn when it comes to lawsuits about oil dangers. He represented the family of a boy killed in the Olympic Pipeline explosion in Bellingham, Washington, in June 1999. He points to a 2003 case in California, Union Pacific v. California Public Utilities Commission, which found some very narrow regulations that a state commission could impose upon a railroad. "I haven’t seen the analysis," Eichstaedt says. "I don’t understand how he’s applying that case to this circumstance." While the court allowed the California Public Utilities Commission to fine railroads for failing to follow their own safety standards, it rejected the arguments that steep curves, sharp turns or the potential environmental damage to local rivers counted as "essentially local" hazards. The courts nixed most of the regulations proposed by the CPUC, including training requirements and braking systems, warning that "the effect of such a patchwork regulatory scheme would be immense." "I'm not a crusader on this issue," Beggs says. "I'm just, like, 'Give the voters a choice.' They get to decide. Do you want us to take every effort you can to avoid [an oil train disaster?] Then vote yes." But Eichstaedt notes that despite the nationwide concern over explosive train traffic, other cities haven't gone the route Spokane is proposing. "If it was this easy, why hasn’t it been done someplace else?" he asks. Ultimately, he suggests that seeking national regulation may be more successful. "We really need to be focused, as frustrating as it is, on the national solution to this," Eichstaedt says. That doesn't mean he buys into all the opponents' arguments regarding the initiative. He's not convinced, for example, that the city will be required to spend vast amounts of money defending the initiative. He wonders if the city would be able to simply decline to defend the initiative in a lawsuit. City Attorney Michael Ormsby says whether the city attorney's office would be forced to defend an initiative depends on the circumstances. He declined to weigh in on the specifics of the Safer Spokane initiative. "I’d rather wait and see what happens," Ormsby says. And if it's voted down? Eichstaedt worries that the failure of the initiative could give the railroads and oil companies the wrong impression about how worried city voters are regarding an oil train explosion. "The railroads are going to be able to spend tons of money to fight this: I think it sends a bad message if this fails," Eichstaedt says. "Then the opponents [of regulating the oil trains] are going to say, 'Spokane doesn’t really care about this issue.'"